depends how much you win. I've been thinking about this kind of thing a lot, wishful thinking! Ideally lots and lots of high end goodness. If it was a more modest sum of a £100000 say then I'd manage my expectations accordingly. The Moderators work for our benefit and safety and are not accountable to us members nor need to explain their actions. if there was a SS option at a more affordable price I'd be all over it. lovely watch. white enamel is lovely. Topic: C5 Malvern 595 "Air"
Re: C5 Malvern 595 "Air"
as I said I like this watch. I like this watch! shock horror! It really does appeal to me. 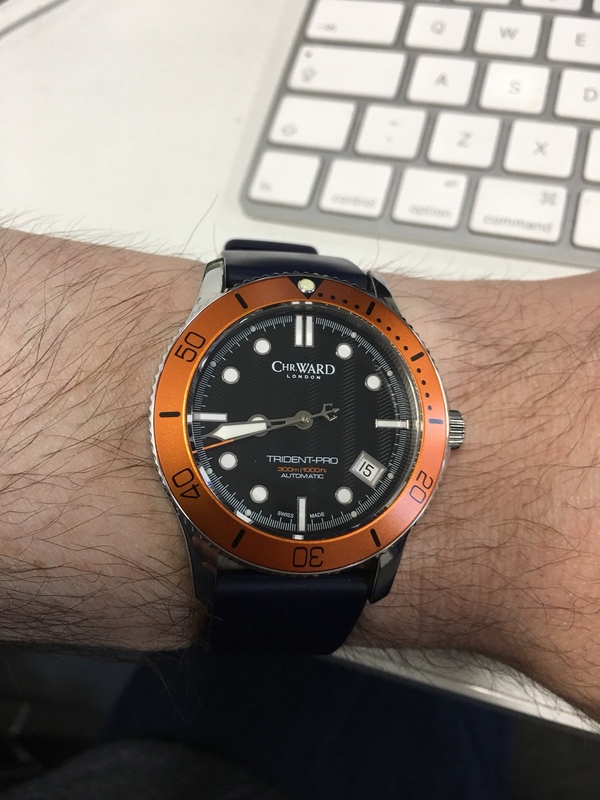 It's been a while since a CW watch interested me in a way this does. I'd like the dial to be white enamel but aside from that I like it a lot. blue, and what a lovely shade of blue!